San Francisco is a city that had been on my list for a long time, but I never had the right opportunity to visit. That is until a friend asked me to tag along with her to a wedding. On my first visit, I quickly learned that San Fransisco is larger than I imagined with many diverse neighborhoods and a lot to see, do, and eat (of course)! 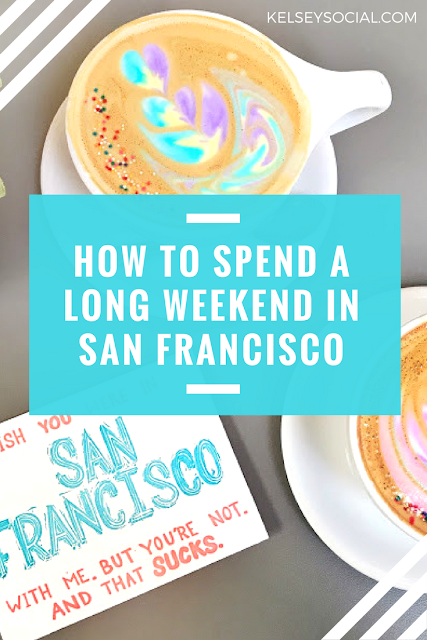 Read on for some of my favorite activities in this weekend guide to San Francisco! Where to get coffee and breakfast is usually high on my priority list when visiting new places. I hardly ever buy coffee when I'm at home, so I like to treat myself on travels. Cafe Reveille was the perfect spot for my first San Francisco breakfast. The acai bowl and matcha latte were my favorites. I discovered Home Cafe's Birthday Cake Lattes on Instagram and knew I'd be making a stop on my San Fran visit. The lattes were gorgeous and super sweet (beware!) but the decor and service were also great. We stopped here for a caffeine break before walking down the street to the 16th Avenue Tiled Steps. The Golden Gate Bridge is the must-see iconic landmark of San Francisco. The best views come from the Marin Headlands in Sausalito. You can catch an uber across the bridge or rent a bike. 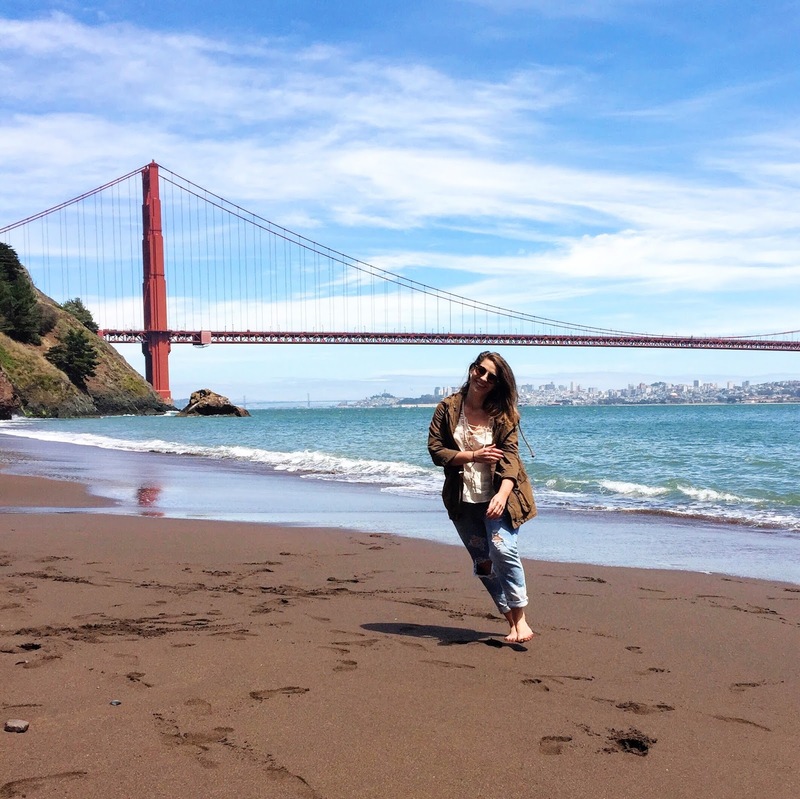 Once in Sausalito, we hiked down to Kirby Cove to play on the beach and catch great views of the bridge and the bay. To get to Kirby Cove, you can start at Battery Spencer. With Battery Spencer on your left, walk shortly past it looking for a sign with directions to Kirby Cove. It's about a mile walk downhill. With so much to see and eat in the Mission District, it's hard to tackle it all on your own. Booking an Avital Food Tour was the best idea. By taking the food tour, we were able to sample a few things from some of the best restaurants while also learning some of the neighborhood history. My favorites from the tour were the pork belly breakfast taco at West of Pecos and salted caramel ice cream from Bi-Rite Creamery. I also enjoyed seeing Mission Street's famous street art and perusing the aisles of Bi-Rite Market after admiring the fresh bouquets out front. I highly reccomend making a stop at Mission Dolores Park to relax in the sunshine if you have time. There are so many landmarks to see in San Fransisco that it's hard to hit them all in one weekend. 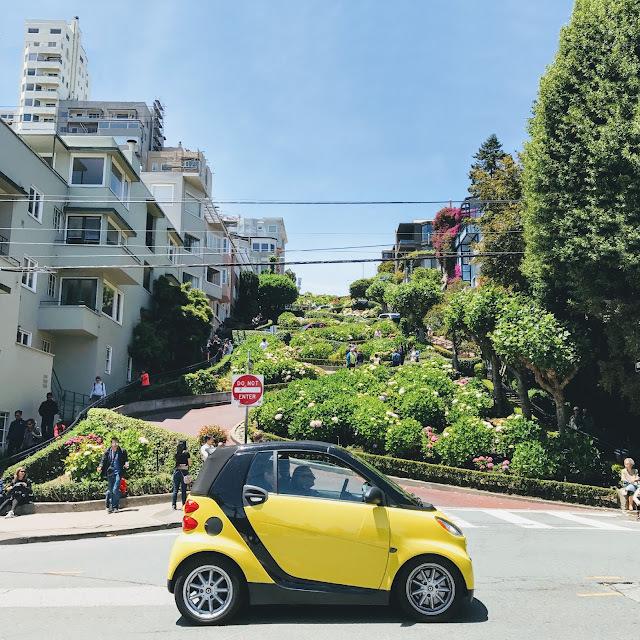 On the way to the Marin Headlands, our Lyft driver made a quick stop at the famous Lombard Street: the “Crookedest Street in the World." We drove down it and then walked around at the bottom. You don't need to spend much time here, but it's definitely something to see. San Fran is filled with beautiful Victorian houses. I loved wandering the streets and imagining who the people are who live in these homes. A must-visit is Alamo Square Park to see the Painted Ladies on Steiner Street. Walking further down Steiner Street you'll also find more Victorians as well as the house from Mrs. Doubtfire. The 16th Avenue Tiled Steps are a community project in the San Francisco's Golden Gate Heights Neighborhood. The colorfully tiled steps are a fun stop to visit after grabbing at latte a Home Cafe (mentioned above). You can climb the 163 steps to Grandview Park for a nice view of the city. Everyone mentions San Fran's Chinatown, the largest Chinatown outside of Asia, but Little Italy sits beside it and is also worth a visit. For dinner, try Sotto Mare for great Italian-style seafood. Order the sand dabs as an appetizer. After dinner, treat yourself to a cappuccino and biscotti or gelato at one of the many nearby cafes. Cafe Grecco or Stella's. On my next visit to San Fransisco, I'd like to visit Leo's Oyster Bar and hike along Lands End Coastal Trail to Mile Rock Beach and Lands End Labyrinth. What else do you suggest? Read more Weekend Wanderlust posts.